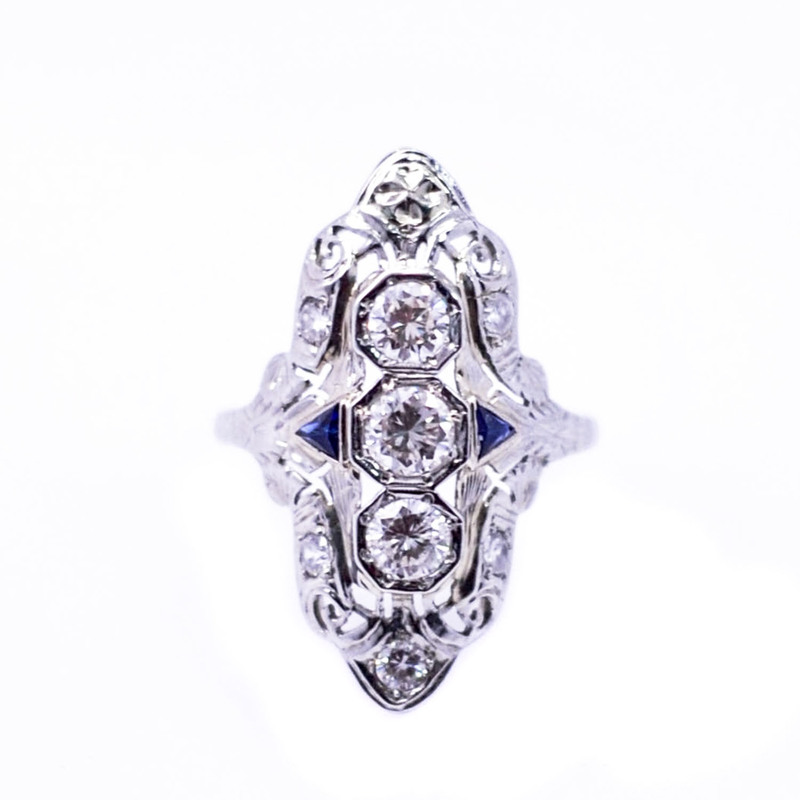 This Art Deco ring has an elongated top centering a vertical row of 3, round brilliant cut diamonds in octagonal shaped settings. Accenting each side of the middle diamond is a triangular shaped blue sapphire. The remainder of the top of the ring has a pierced design with 5, small round diamonds and an engraved foliate design.